Even bad publicity can be good for a company; it gets their name around, especially in the case of Starbucks’ controversial logo change in 2011 and size names change way back in 1987, which is still generating controversy as Starbucks grows and grows. Similarly, Cold Stone Creamery has the sizes Like It, Love It, and Gotta Have It. These names generate publicity and help them stick out in crowd. Another type of branding is phrases. Now here’s a few, and think of what they relate too. “I’m Lovin It”? Obviously McDonalds. What about Dilly Dilly? Now most teens shouldn’t know that, but many do. This is from a Bud Light commercial, the one with all the medieval elements. The medieval ages, while not being kid friendly, attracts the attention of little kids with knights and princesses. This could lead to many issues down the line, as making kids remember alcoholic brand commercials wouldn’t be good, and definitely generated some controversy and publicity. Some less controversial branding relates back to the ole Mickey D’s, and its obsession with slapping “Mc” on everything. We got the four different versions of the McMuffin, the three different McGriddles, the two Big Mac’s (Mc stands for Mac, if you didn’t know), the two McDouble’s, the glorious McNuggets, the McChicken, the McFlurry, the McCafé and McCafé Hot Chocolate, and the McCafé Bakery. Now their branding may be excessive, and very “in your face”, but it’s effective. Try to think of something including “Mc” that’s not McDonalds. Along with this they have posters with “Mc” everywhere on it and they know what it means. Speaking of posters, they are a critical part of branding/advertising, even with school fundraisers. The school I came from, we just had a fundraiser where if you paid a dollar at the beginning of the year, you got a few chicken nuggets towards the end. Big companies use posters for advertising their specials, such as a new drink or a discount. Some companies keep their posters on the fly with people who hold little signs and flip and throw them, called “human billboards”. Now one of the strangest and most secretive types of generating publicity are secret menus. These are menus filled with items that were either taken off the menus or were never on them, but some people liked and ordered, so they added it in secret. 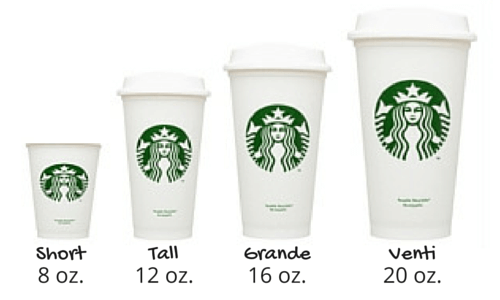 Two big companies I previously talked about have these: McDonalds, whose secret menu consist mostly of customer-made monstrosities, and Starbucks, which also hosts plenty of customer-made items, with the exception of two sizes, the short (extra small) and the big, bad, scary trenta. While being only 31 ounces (even though its name means 30), which is lower than McDonald’s and a few other places’ biggest sizes, it’s still 31 ounces of pure, caffeine filled coffee. Well we are all high schoolers, so most us have a caffeine dependency, and a want to spend our hard-earned dollars on ridiculously oversized and/or named objects anyways.